Religious leaders condemned it. Leading scientists expressed their scepticism. But the overnight phenomenon that was Past Masters, went from strength to strength. Their claims were big and bold. 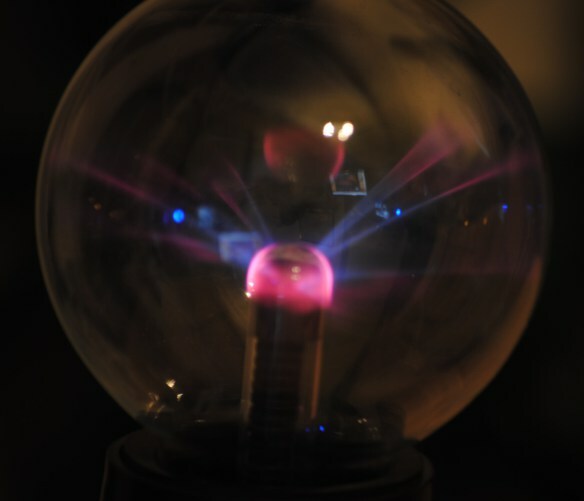 Although the specifics were to remain secret, advanced Plasma-Ball technology had now made it possible to permit Time Travel to the Past, at least for seven days at a time. The ultimate trip. The week-long experience had a very affordable charge – it all seemed such a reasonable price to pay. There was no shortage of willing volunteers. Who knows how long this whole thing would have lasted, if undercover journalist John Clay hadn’t taken a remotely controlled micro camera in with him? Day One involved intense Mind Programming sessions before he was put to work in their factory – reminiscent of a Dickensian workhouse. He stayed there for the whole week, sleeping on the factory floor and eating gruel. He was, of course, making Plasma Balls. Before he left, a further Mind Programming gave John a replacement memory overlay. What a great time he thought he’d had! This is my contribution to Sunday Photo Fiction – 08 December 2013, hosted by Al Forbes. Please click here for more details. Haha very good! A perfect way of doing it.